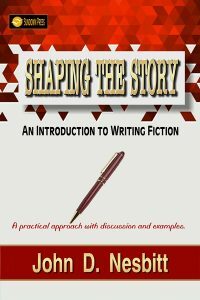 Shaping the Story is a practical guide to the craft of writing fiction for authors of all levels and abilities. Award-winning author and scholar John D. Nesbitt has penned an easy-to-use handbook, complete with short stories he references throughout, all under one cover. Shaping the Story is a complete, professional tool for aspiring creative writers. This book contains discussion, as well as examples and sample stories, to illustrate many of the points made. Whether you’re writing a short story or a longer piece, this book is a must-have!